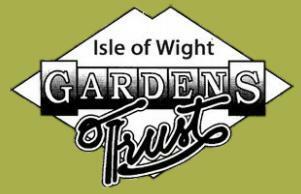 Ventnor Botanic Garden is now managed by a Community Interest Company working closely with the Friends. We will have a key role in VBG’s future development. The amount of funding we can offer to projects that meet the aims of our Constitution will make a big difference to what is achieved at the Garden. All donations – small and large – are very welcome! Cheques payable to VBGFS may be handed over to the Business Officer at the Garden office in an envelope marked for the attention of the Treasurer VBGFS, or sent to:The Treasurer, VBGFS, Ventnor Botanic Garden, Undercliff Drive, Ventnor, Isle of Wight, PO38 1UL. Most of the long-established Botanic Gardens able to lean on historic links and legacies to help fund their ambitions. Creating a fund that allows our supporters and benefactors a way of donating both small and large sums of money in a very simple way has challenged your Committee for some time. Interest rates are historically low at present but, with every penny counting, the Committee has decided to start a new Foundation Fund with £15,000 from our reserves. The ambition is that the fund capital will grow steadily with the interest being spent on projects that enhance the long-term future of the Garden. By filling in a Standing Order you choose how much you can afford to support the future. With Gift Aid even £1 a month would double the value of a single member subscription. For those considering larger donations, Standing Orders provide a simple means of giving that can be easily managed. And the effect? Should just half of our current membership choose to donate £2 each month then, with Gift Aid, the fund would grow by about £7,500 each year. Just £5 a month would add nearly £19,000 every single year. Please fill it in today . . . for tomorrow! You can download the Friends’ Foundation Standing Order Authority here. You can increase the value of your donation using Giftaid. 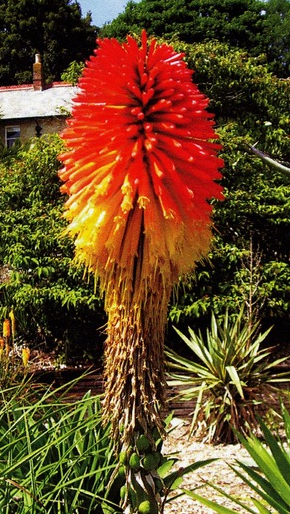 By completing a Gift Aid declaration you enable Ventnor Botanic Gardens Friends’ Society to claim tax back from the Government at no cost to yourself. If you eligible, and have not already completed a declaration on your Friends’ membership form please ask our Treasurer for a form. Please be aware that you must have paid an amount of income and/or capital gains tax at least equal to the amount of tax reclaimed by all charities and Community Amateur Sports Clubs on all your donations in the tax year (6th April one year to 5th April the next).